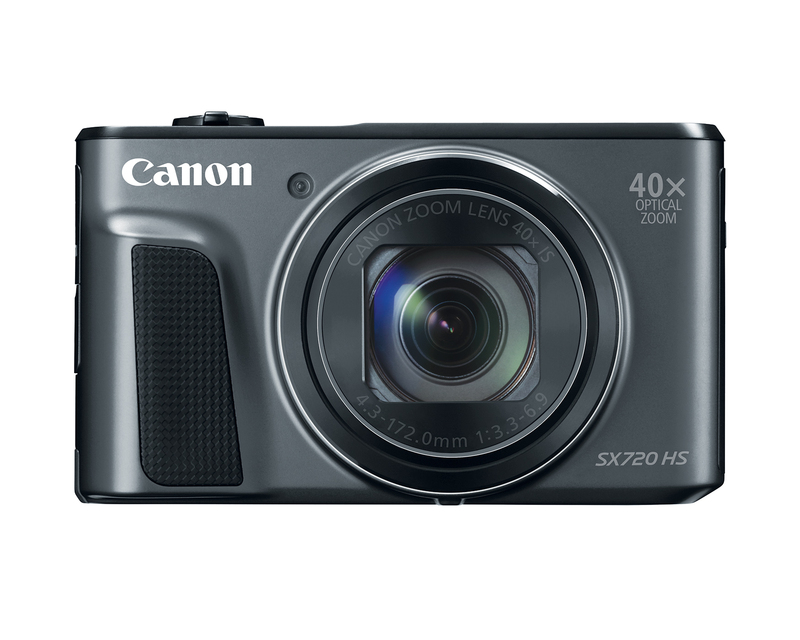 This PowerShot packs a lot of features into a compact body, and delivers high overall image quality, though low light performance could be improved. Read more in our Full Conclusion. The PowerShot SX720 HS builds upon the SX710 from last year with a few nice improvements, namely a new updated zoom lens. 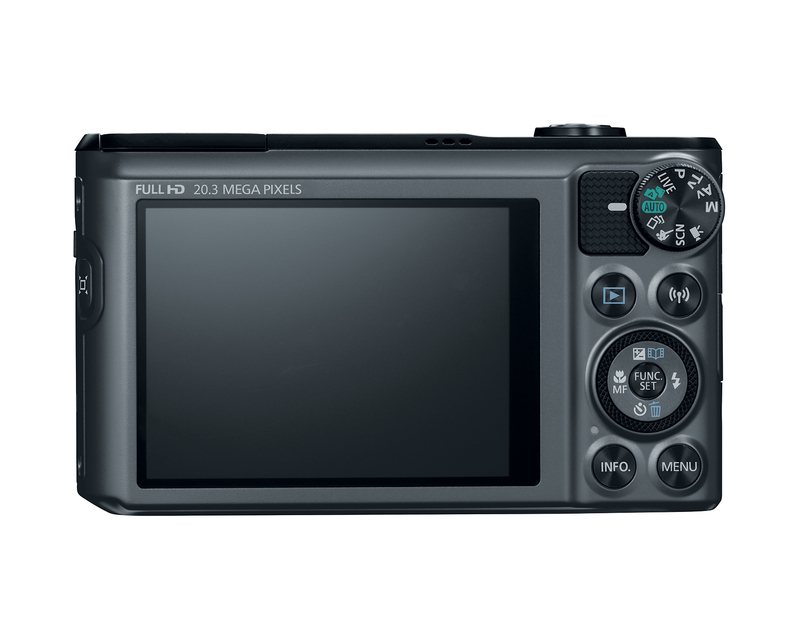 Like its predecessor, the SX720 offers a 20.3MP CMOS image sensor, DIGIC 6 processor, a 3.0-inch LCD screen, and Full HD video capture at up to 1080/60p. 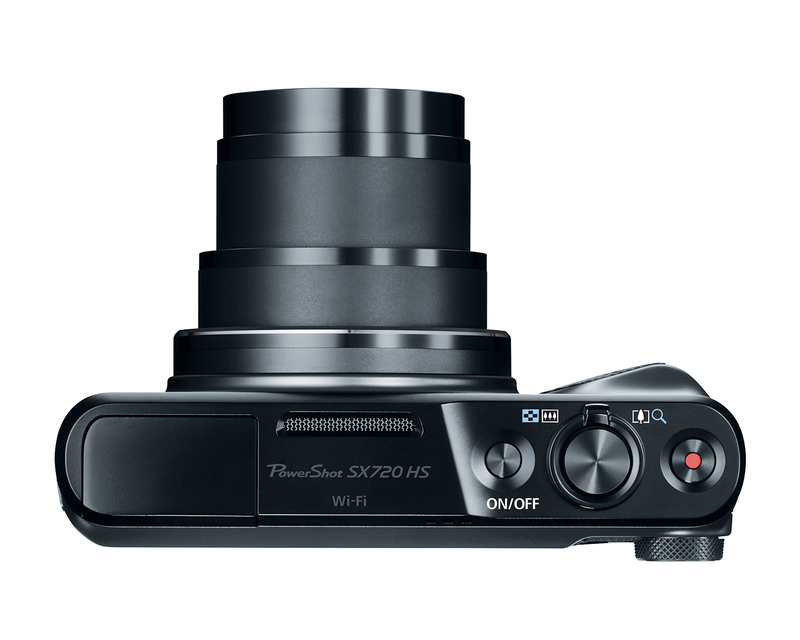 It also features the same, proven, Intelligent IS system that we've seen used on various PowerShot models in the past. The SX710 packed an impressive 30x optical zoom into its petite frame, which is now bested by more than 10x with the SX720's new 40x optical zoom lens. 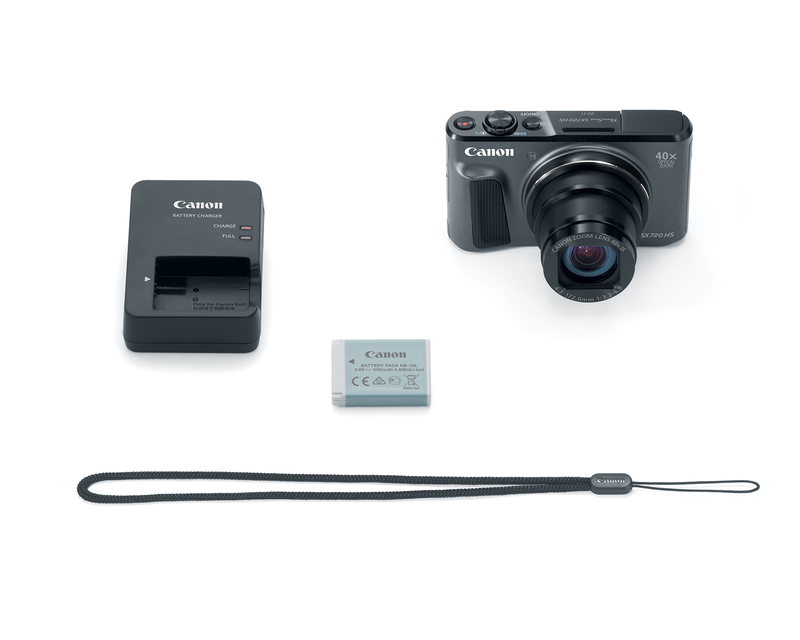 This new lens covers and equivalent zoom range of 24-960mm, which Canon claims makes the SX720 HS a good candidate for a "vacation camera". Other key improvements noted by Canon are the ability to charge the battery in-camera via USB (they still include the AC quick charger for external charging, or for charging extra batteries), and they have improved the Wi-Fi functionality allowing you to enter Wi-Fi mode in both playback and record modes (previously, you could only do so in the former mode). 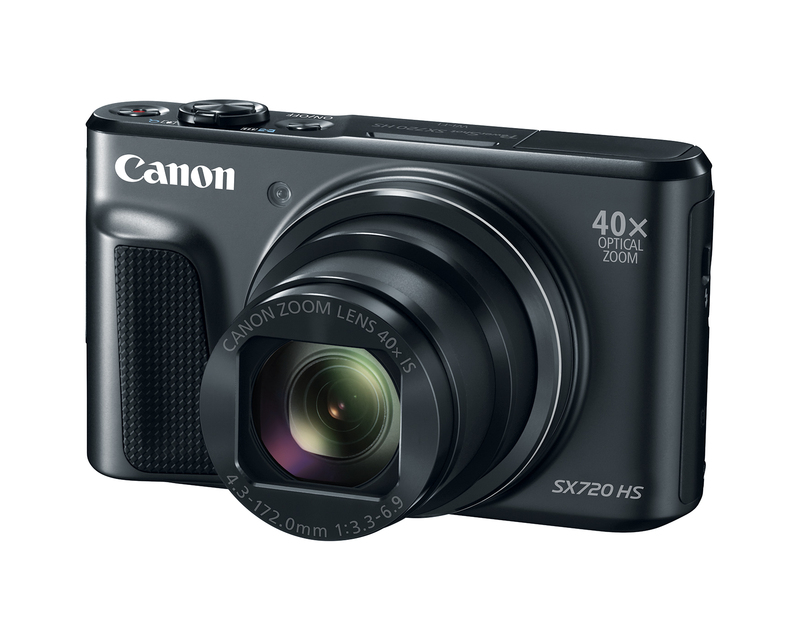 The Canon PowerShot SX720 HS is available now with a MSRP of $379.99. The camera only comes in one color; grey with black accents. See our best price box at the top right to see current online pricing.